It’s no secret large-scale construction projects are more common during late spring and summer. 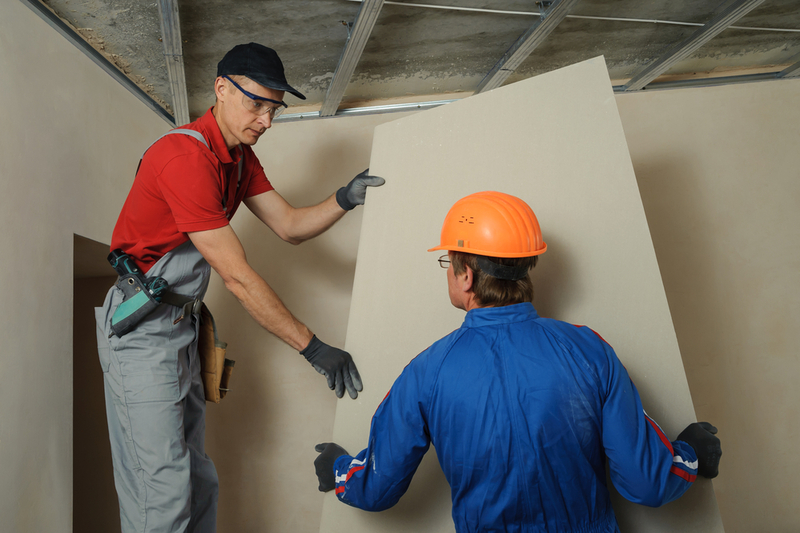 It seems most contractors want to do tasks like hanging or finishing drywall when the weather is temperate and predictable. However, as Northwest Drywall & Roofing Supply points out, this may be more about preference than necessity. For nearly 30 years, this home improvement supply store has served contractors all throughout the state of Montana, and, according to them, the key to a successful drywall project in winter is a bit of extra care. Installing drywall is always a meticulous process but one that primarily relies on patience more than anything else. In colder temperatures, it takes longer for the joint compound to dry, but it still will. Because this process is just one of many on a major construction project, every minute counts, which is why most prefer to have it done when it's warmer. Ideally, you want to maintain a temperature of at least 55 ºF. Heaters can be brought in, but make sure they’re radiant, not convection. The latter blows hot air around the room, which not only leads to dust flying around, but can also cause uneven drying. Although warmth helps, don’t forget about keeping the humidity low. As you and your team work, open the windows and doors to circulate the air. Take the time to check the weather forecast; don’t open them when it gets too cold or if the precipitation is too high. If you have an upcoming project in Montana that involves drywall and need high-quality supplies, head to Northwest Drywall & Roofing Supply. With nearly 30 years of dedicated service and three locations in Kalispell, Helena, and Belgrade, you’ll find what you looking for. Need other materials, like asphalt shingles or contractor tools? They have it all! To learn more, visit their website. If you have any questions, feel free to call (406) 752-2644 for their Kalispell office, (406) 388-2990 for their location in Belgrade, or (406) 443-7663 for the one in Helena.